Saturday December 1 @ 7 p.m. Special Christmas Holiday Concert, our "gift" to you this holiday season, FREE ADMISSION. Please see the Concerts & Events tab "2018-2019 Season" for ticket ordering and artist information. 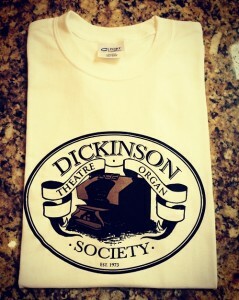 (c) Dickinson Theater Organ Society, a non-profit 501c3 dedicated to the preservation and promotion of the musical art form of the theatre pipe organ.